Thoma Bravo has plenty of experience in buying tech companies. Just last month, the firm spent $242 million for Double-Take Software (DBTK). And yes, the private-equity firm has announced yet another deal this week: the $717 acquisition of SonicWall (SNWL), which is a provider of network and security solutions. Interestingly enough, Thoma Bravo has teamed up with the Ontario Teachers' Pension Plan on the transaction -- another organization that has been quite active lately with its deal-making. 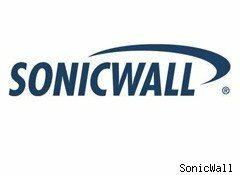 Founded in 1991, SonicWall develops hardware products -- known as appliances -- that help secure networks and content for businesses of any size. Moreover, the solutions also integrate with mobile devices. As companies increasingly rely on the Internet to share information, the need for security products has also grown at a rapid clip, and things are getting even more complicated because of mobile workers, telecommuters and global branch offices. At the same time, there are many threats from hackers, disgruntled employees, contractors and even competitors. SonicWall is positioned nicely to benefit from these trends. The company has a comprehensive security offering and its technology architecture makes it easier to develop new capabilities, which is critical for network environments. As a testament to its technology strengths, the company has sold more than 1.5 million Internet security appliances. As has been the case with many enterprise technology firms, the economic slowdown put a damper on SonicWall's business. However, based on the latest earnings report, it looks like the company is regaining traction. Revenues increased 17% to $55.3 million and cash flow from operations came to $11.1 million. The company had about $127.3 million in deferred revenue. SonicWall wisely focused on investments in R&D and sales during the recession -- not an easy thing to do, but a choice that should pay off as the recovery unfolds. What's more, SonicWall has lots of room for growth. Foreign markets are fairly underserved in the network and security solutions arena, and SonicWall continues to introduce cutting-edge products. All in all, SonicWall is the kind of company that justifiably attracts the interest of investors like Thoma Bravo. This deal is another signal that there are still many good values in the tech sector.